Flings Trop Sun 57 ct is rated 3.8 out of 5 by 14. Rated 5 out of 5 by Jacquip7 from My favorite scent I love this scent the most. 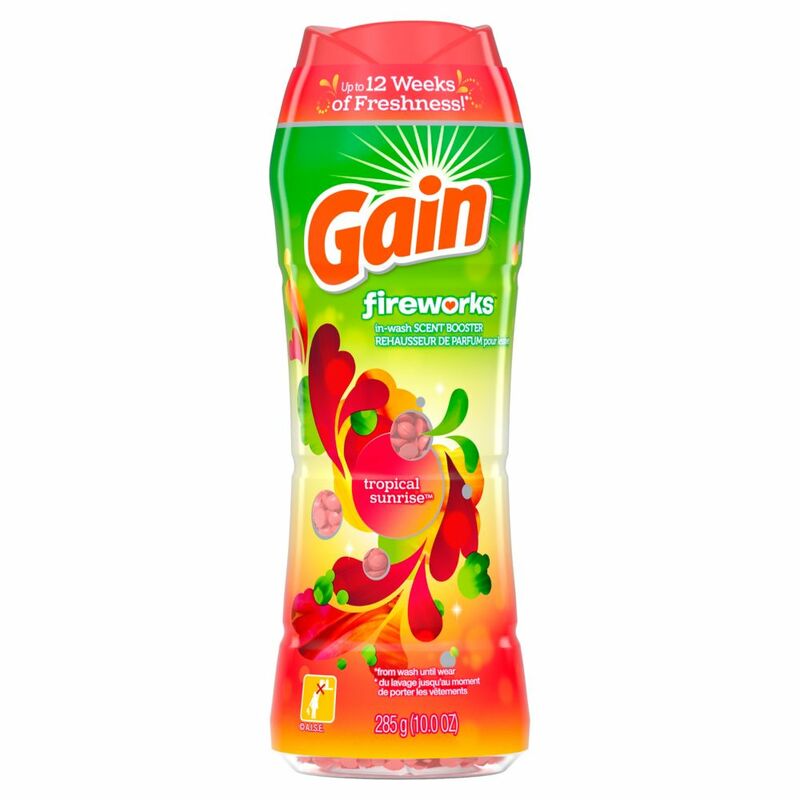 I&#8217;m an avid Gain user and I always try new scents when they come out and this is my favorite one so far. I love these scent boosters because they keep my clothes smelling great for weeks!! And you don&#8217;t need lots if you&#8217;re using the washing detergent and fabric softener like I do. Rated 5 out of 5 by Dina0403 from Very upset!! I love this scent and love the fact that my laundry always smells great, but no one is selling it in the large bottle and I have only been able to find it in the small bottle in one store! What is going on!!!!!! Rated 4 out of 5 by Bummy from Smells really great but need clarity for usage This product smells really great. I am a first time user but the instruction is not too clear. Is it to be use in the dryer or washer? Can I put it in the barrel of the washer and add water before the clothes. Please advise! Rated 1 out of 5 by amr1006 from Discontinue Please Why do you always Discontinue what works, this scent needs discontinued. Tropical Fresh is way better! Rated 5 out of 5 by Lisa37 from This product smells AMAZING!! My daughter actually picked out this scent and OMG it's AMAZING! We have had several compliments from people that our clothes smell so good. Rated 5 out of 5 by Lcraft from Not apple mango tango, but it will do I got this because I cannot find apple mango tango anymore. I do love this scent, it's the closest to AMT that I can find. I live on the third floor and my laundry is on the first floor, and I can smell it all through the hallway, its very good. I would recommend it for anyone looking for apple mango tango. Rated 5 out of 5 by Meow from Smells greats, works great for my sensitive skin This was my very first scent thing Ive bought for my laundry. I have always had sensitive skin and asthma so ive always used unscented. But with this product, I can finally have nice smelling clothes and not have to worry about having asthma problems. Now I was everything with these, including my bedding. Ive been using for about three weeks and have never had any problems with staining.